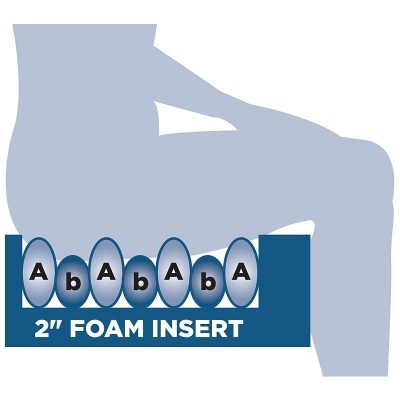 Alternating air pressure relief cushions provide the best pressure care for high risk patients, but it can be difficult to find a cushion that provides the same level of relief while out and about. 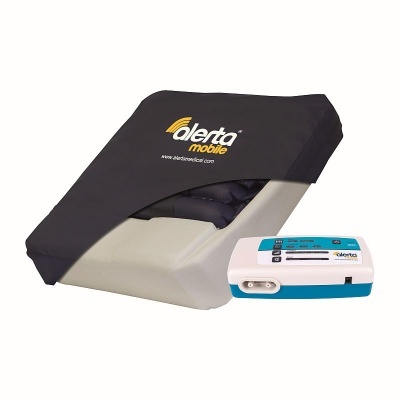 The Alerta Mobile Alternating Air Cushion System offers a versatile and cost-effective solution to this problem, providing completely mobile alternating pressure relief powered by a lithium-ion battery with a remote operation time of 24 to 48 hours. Easy-to-use with intuitive controls, this cushion is suitable for those at high risk of pressure ulcer development. 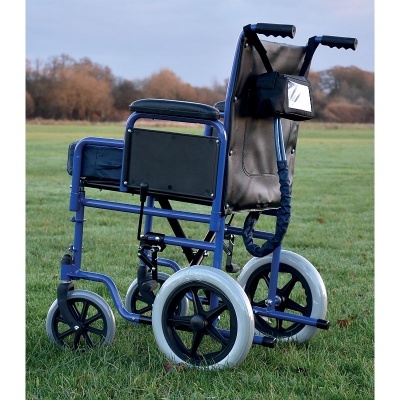 Since the Alerta Mobile is battery powered, it can provide high levels of pressure relief anywhere it's needed. The control unit is fitted with a long-lasting lithium-ion battery, with a choice between static and dynamic modes. In static mode, the battery can operate for 24 to 48 hours, while in dynamic mode, the system can last for at least one day, providing more than enough pressure relief for a long day out. The intuitive settings and functionality of the Alerta Mobile makes setup simple and efficient for the carer. The control panel provides complete command of the system, allowing the cushion to be operating at optimal pressure in mere minutes. No matter the needs of the user, this cushion system can be easily adapted to meet their specific preferences. 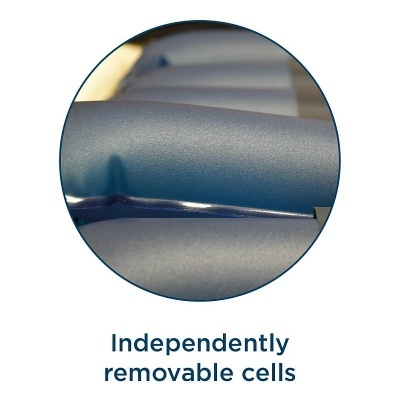 The Alerta Mobile Air Cushion System has been designed to comply with the most stringent quality and in-use guidelines, making it versatile enough to be used in a number of different situations. Since it can be adapted for all the user's seated pressure relief needs, the system is highly cost effective and can function independently. To make this cushion system as hygienic as possible, it is fitted with a multi-stretch, water-resistant and antimicrobial PU cover. It also features TPU-coated, independently removable cells for easy cleaning and maintenance. The cover is also machine washable with an enclosed zipper to keep all fluids and spills off your cushion.